Thank you for visiting my endometriosis treatment page. In this article, I’m going to firstly explain what the condition is, and then offer what endometriosis treatments are available (including natural treatments). What exactly is the issue ? Endometriosis and infertility is reported to affect 30-50 % of women in the USA today. Some are not considered infertile, but sub-fertile. It should be noted that infertility does not cause endometriosis, but rather infertility is a symptom of endometriosis. Endometrium tissue normally grows inside the female womb. Effectively, what happens during menstruation is that the tissue (endometrium) is shed. If it grows outside of the womb the condition is called endometriosis. This can cause scarring and also be very painful. Doctors do not know exactly what causes endometriosis, or why it increases infertility – although scarring of the fallopian tubes is suspected. Another theory is that endometriosis produces chemicals which may interfere with the female hormones. What are the signs of endometriosis ? What are the most successful tyres of endometriosis treatment ? Whilst there are no known cures as such, treatments for endometriosis come in various formats. These can range from medicines through to surgery, as well as natural endometriosis treatments. Treatments can ultimately be successful and getting pregnant is still a possibility with this condition. Mild endometriosis can be treated with medicines such as Lupron or Synarel. Even birth control pills can help with the pain mentioned above and help the condition. Of course, taking birth control pills will not help you get pregnant. Unfortunately, a number of studies have proved that fertility does not necessarily improve using these drugs. Furthermore, it is possible for any pains that have been suppressed to re-appear a few months after you have stopped taking the drugs. And as with all medicine, there is the potential for side effects to be experienced as a result of taking them – The inability to sleep, weight gain and even depression being common. Small improved pregnancy percentage increases, of less than 5%, have been observed a month after the operation. Other studies have shown approximately 50% improvements. There are also wide ranging benefits of this procedure for women suffering with blocked fallopian tubes (a potential knock on effect of endometriosis) . Rates for this condition range from 10%-90% improvements in fertility. Of course, these types of procedures do not come at a cheap price – ranging from $3000 to $10000 – and of course surgery always carries with it potential side effects and a risk to the patient. If you want to increase the odds of getting pregnant by 5-25% then artificial insemination is a procedure that you will want to consider. This is also cheaper then surgery, in the region of $500. Fertility drugs are taken prior to the procedure, and then sperm is physically injected into your womb at the time of ovulation. I will be covering IVF quite extensively on this web-site, and there will be a whole category dedicated to this procedure. Basically, though, this is recommended to women when artificial insemination has not worked. $10,000-$15000 is a common price-tag for this procedure. And so we move onto an area of treatment that is gaining ever more popularity (maybe it’s the pain of the surgery, or the pain of the above price-tags ?). The key with natural endometriosis treatments, is to try to get the body to repair itself from the inside out and via what you actually put into your body. “Natural” is the key word here. Eliminating processed foods and eating organically undoubtedly improves the inner workings of your body. This can all be backed up with traditional Chinese medicines such as herbs and acupuncture. Yoga is also often added to help improve the reproductive areas of the body. 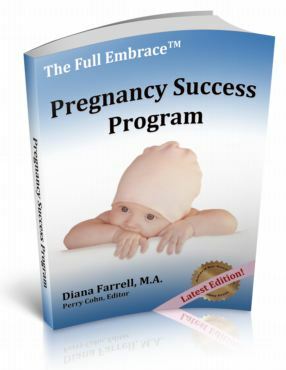 One resource that I would definitely recommend to those looking for natural treatments for endometriosis is the Pregnancy Success Program by Diana Farrell. She has produced a home study course with endometriosis in mind. It really sets your body up, and compliments, whatever endometriosis treatment you have. In some cases it might be all you need. To read my review on this course, please click here : Pregnancy Success Program review. Alternatively, you might want to visit Diana’s official web-site by clicking on the image below. I hope you found this introduction into the various endometriosis treatments helpful. Please feel free to share with your friends, using the links below. If you would like to be kept up to date with more articles I write (like this one on endometriosis treatments), then please complete the sign-up box on the right hand side and I will email you as soon as I publish my next one.